Janson is a great gunner and has a bit of a crazy side. He was awarded the True Gunner award while serving at Tierfon Base. He was a close friend of Jek Porkins while there. When Porkins was transferred to Yavin, Janson was ill and unable to fly. He still blames himself for Porkins' death. He flew as a gunner at Hoth and also flew an X-wing at Endor. He is currently a member of Rogue Squadron and for a time served with Wraith Squadron. 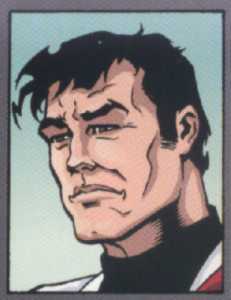 Janson refuses almost any promotion and remained a Lt. for many years, but when Wedge became a General he became a Major.